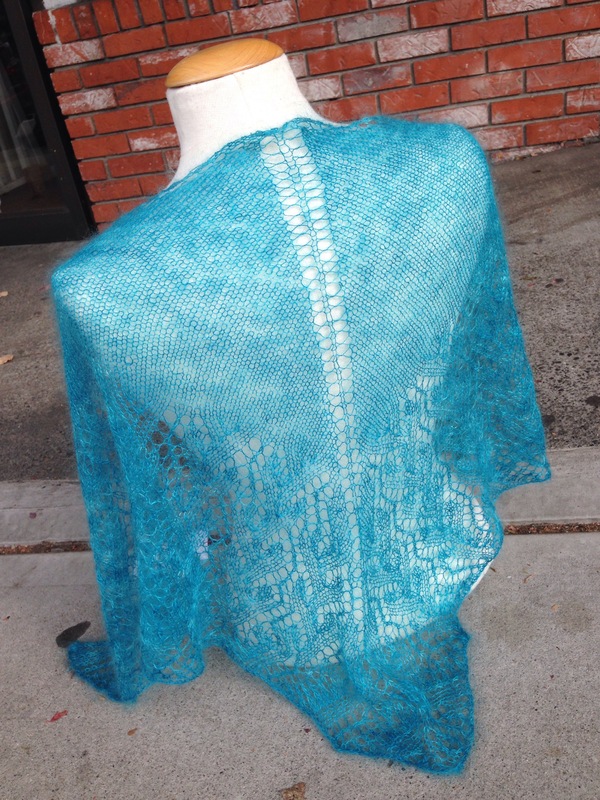 Softness is in the air this season with a new superfine alpaca lace-weight with a halo. 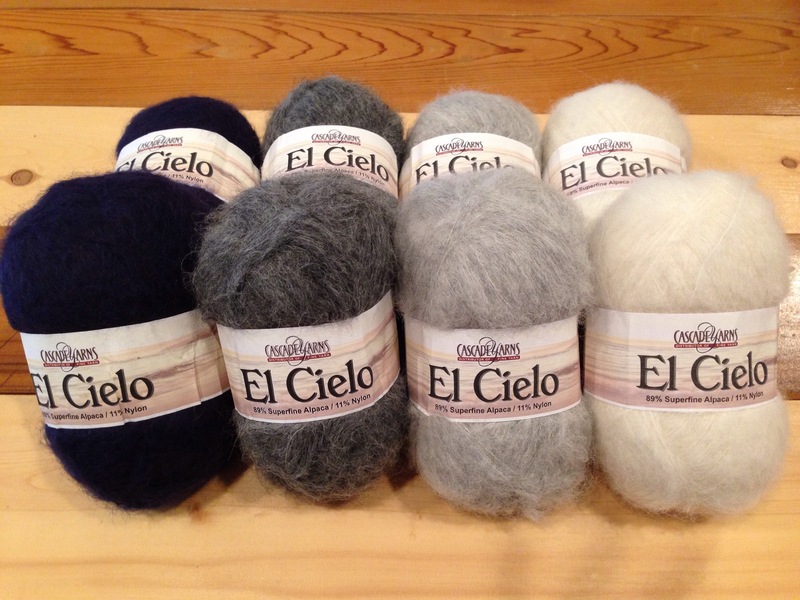 Cascade Yarn’s El Cielo is a 580 yards/100g ball that can be knit on its own or held double with another yarn. Gorgeous neutrals in a light-as-a-feather lace-weight. Additionally, we’ve stocked up on another fuzzy favorite, a silk/mohair blend from Sweet Georgia that knits up like a cloud. The Twig Shawl by Felicia Lo, knit in Sweet Georgia Silk Mist. 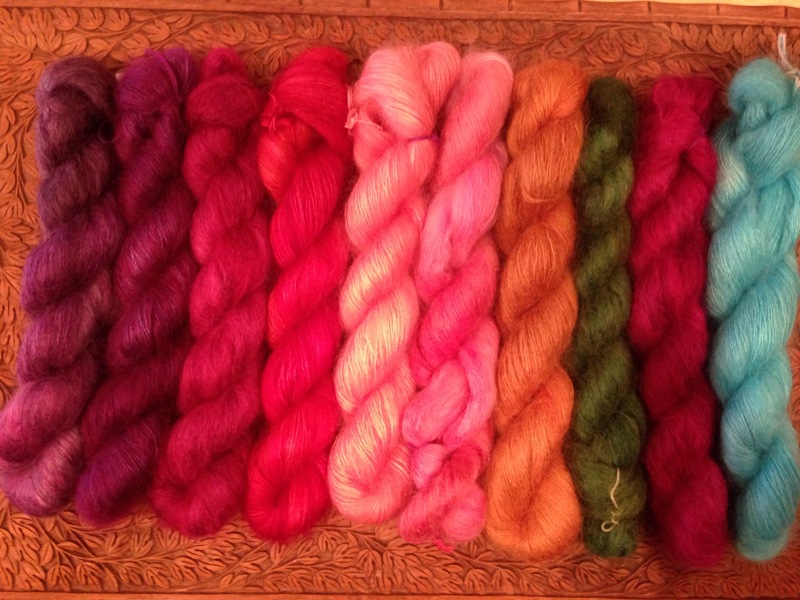 With her unapologetic colour, Sweet Georgia has recreated spun gold in the form of her Silk Mist yarn. Blending 60% fine kid mohair and 40% cultivated silk, we have stocked a rainbow of gorgeous colours in this beautiful yarn.